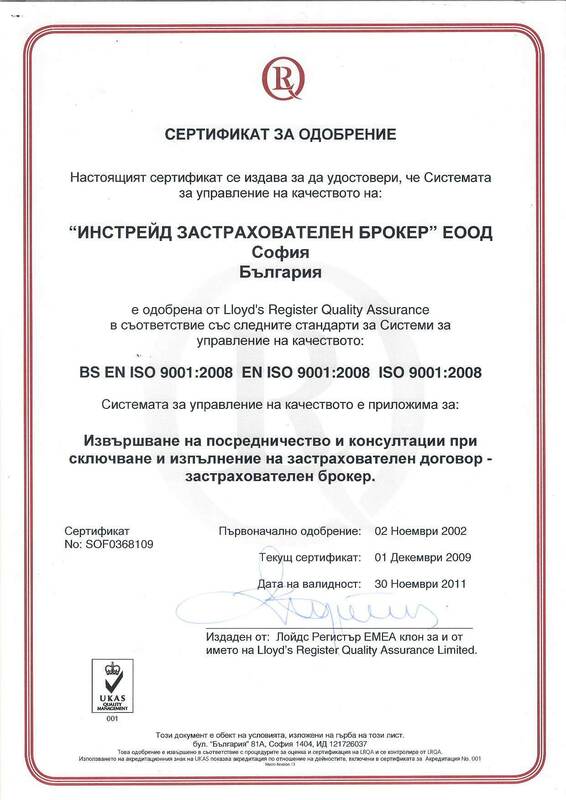 Instrade was the first Bulgarian company, related to insurance market, with integrated quality management system. 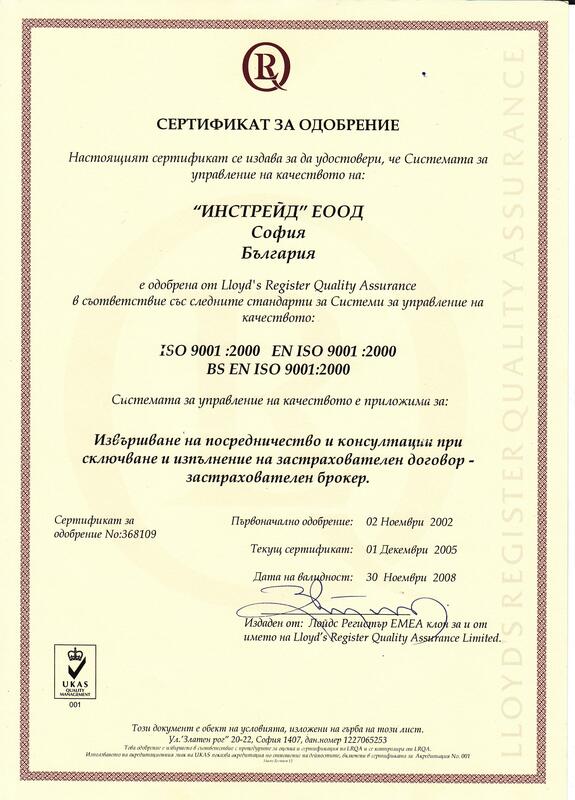 Since 2001 we maintain a quality management system according to the international standard ISO 9001:2000. 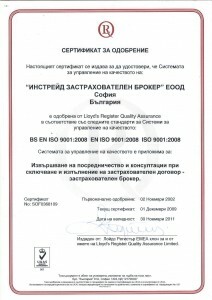 It guarantees to all clients that Instrade is in the process of continuous improvement of the services and that our insurance services meet the world’s higher quality standards. 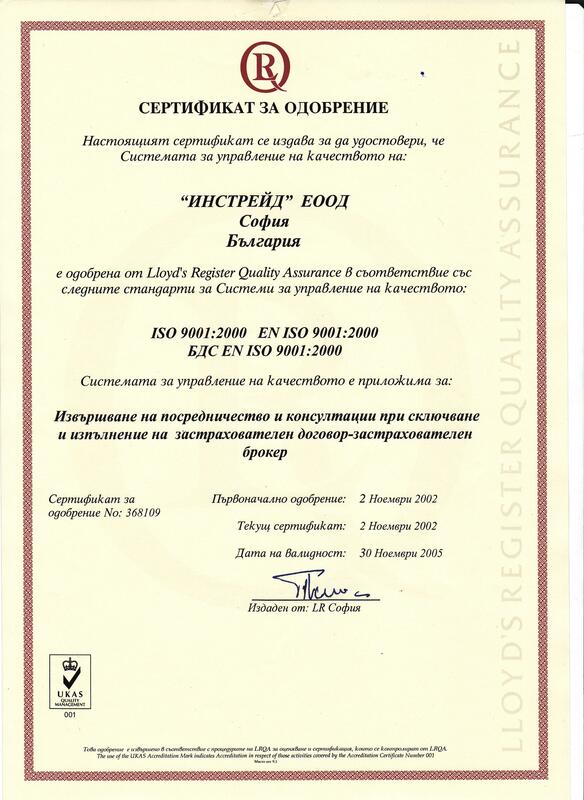 Quality management system that we introduced, guarantees that at any moment of our mutual work you will get the best possible services that meet your requirements and the protection of your interests. 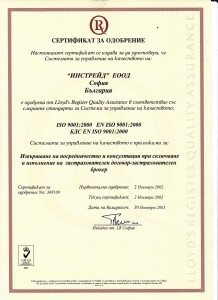 From the beginning since the end of 2011 we had used LRQA as our quality certificator. 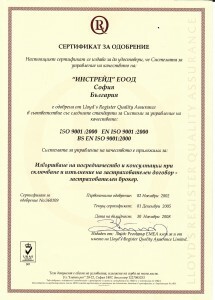 Now we are choosing other reliable certificator to continue our certification.